Army ROTC is one of the best leadership courses in the country – and it can help pay for college. 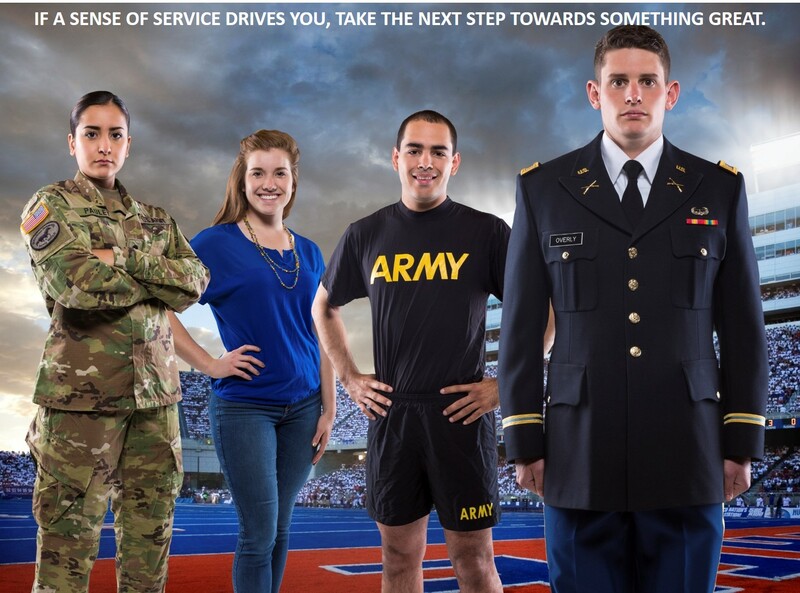 Boise State University’s “Bronco Battalion” trains outstanding young men and women to serve as officers and leaders. Our goal is to help students to reach their fullest potential, both physically and mentally. Graduates will serve as officers in the Army. Whether they choose to stay for a full career in the Army or to serve only for a time, we teach the tools needed for a lifetime of service to the Nation. Through ROTC, you can have a normal college student experience, and graduate with a guaranteed full-time or part-time job. Along with great leadership and management training, we offer scholarships and benefits.